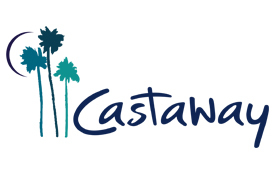 Following an at-capacity 2018 edition, Worldwide Radio Summit 2019 is set to head to the north side of the Hollywood Hills for its 2019 debut in Burbank, CA, the "Media Capital of the World," at the newly-remodeled and decadent Castaway venue for an ultimate networking, creative and business experience. In "Beautiful Downtown Burbank" as heard on The Tonight Show Starring Johnny Carson and Jay Leno, high in a picturesque setting in hills overlooking the city and Downtown LA, the new Castaway is set to become SoCal's most provocative and exciting special events property and upscale restaurant featuring breathtaking views and a renewed energy and vibe, ready to deliver a world-class experience to 2019's attendees. Burbank, CA is home to some of the world's most recognized music and media companies including film/TV studios, record labels, publishing companies, radio stations, music supervisors, synch companies and more including The Walt Disney Company, Disney Music Group, Freemantle Media, ABC, Hollywood Records, ESPN, Marvel Comics, Lucasfilm, Warner Bros. Studios, DC Comics, Freeform, Warner Bros. Records, Atlantic, Elektra, peermusic, iHeartRadio, Nickelodeon Animation Studios, The Burbank Studios, Blizzard Entertainment, Cartoon Network Studios, Insomniac Games, The CW Television Network, NBC Universal and A&R Worldwide's headquarters to name a few. The city of Burbank is set to welcome 2019 delegates to this long-time epicenter of music creativity and innovation.